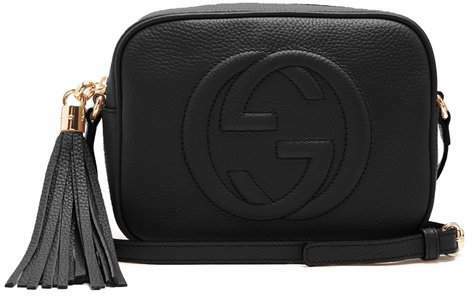 Gucci - The Soho is Gucci's answer to the need for a go-anywhere bag, now reimagined in black grained leather. 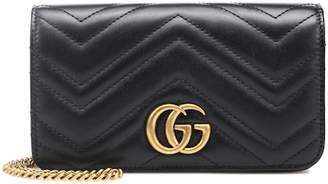 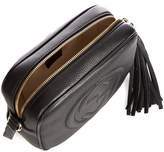 It's made in Italy, framed with black lacquered edges, and finished with the signature quilted GG motif across the front and a coordinating leather tassel on the zip pull. 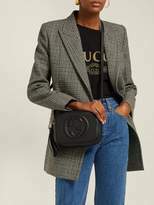 Use the coordinating adjustable shoulder strap to wear it across the body.